Calendars, Planners and To-Do Lists: It is all Only for You! What organizational product do I see the most of when I visit clients homes? No, the answer is not calendars, planners and to-do lists. The product I see the most of is organizing books. The second most popular find is organizing bins. The third is calendars, planners and to-do lists. Why do I find these items so frequently and in such high volume in clients homes? The top two were no surprise to me and easy to diagnose. My clients have a stash of organizing books because they want to be organized. They are intelligent people and sought out resources. They eventually came to realize that they simply didn’t have the time to organize on their own, that some steps in the books were difficult to handle emotionally (if it was all about intelligence, I’d be out of a job) and that the steps in the books really weren’t made for their specific situations. So, I get called in to plan, support and assist. My clients have a varied collection of organizing bins because they want to be organized. They are intelligent people and sought out resources. They eventually came to realize that without a plan, the bins simply displace the clutter. The third was a little more difficult for me to analyze. Why do they have so many calendars, planners and lists? Some are blank, some are partially filled, some are new, some are years old, some are decorative, some are plain, some are small, some are large and some are even electronic. What became clear was that none were working. Once again, the products showed a desire to manage their time. The products showed intelligent people that sought out solutions. I have come to find that there is no area in which people try to fit into what is popular, current and usual more so than in the area of time management. People tend to think that one planner or one calendar fits all. This couldn’t be further from the truth. Left-brainers may do well with a typical planner, but right-brainers are more creative and visual. They need planners that reflect these traits. What ever happened to writing on the back of your hand? Well, maybe we don’t need to consider that one, but we do need to consider everything and anything until….it works! This is one of the services I love to provide my clients. You don’t have to use a thick planner! You can use sticky notes, the wall, voice recorders, pictures, index cards, etc… My August issue of Organization-411 will focus on these creative time management techniques (as well as back to school tips for the parents out there). 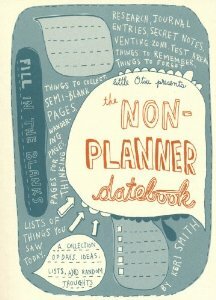 In the meantime, check out two of my favorite “planners” linked below. Also, if this is an area you would like help in, time management is one of the services I provide. We will work to find what works for YOU!